Testing is that activity that helps us test errors or bugs in a software system under development to provide you with an error free software system and a reliable solution to the customer. Software testers are in huge requirement in the industry so testing is a very good field to opt as your career in the field of Information Technology. We at Problab Technologies provide you with the A to Z training in Software testing and make you ready to enter the industry as a professional Tester. 3 Months Training + Project Certificate By Problab Technologies, Internet Marketing Certificate by Google, Problab Technologies Pvt. 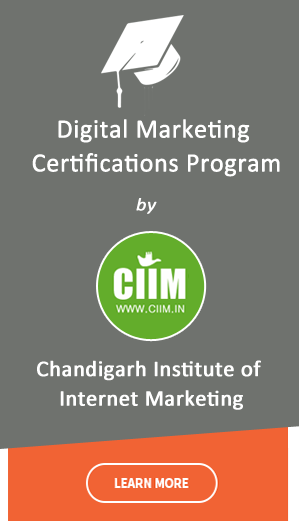 Ltd.
No.1 Training center for Web as well as Mobile Technologies in Chandigarh. Assignment provided to students on daily basis. Specialized in Web Technologies and Software Technologies. Training by Real time experienced developers with 15+ Years of Experience. Deep and up to date knowledge in all technologies. Huge web resources to help you in future web projects. Real time project experience and project management skills. Weekend Batches for working professionals to enhance their skills. 100% Placement Assistance for students after completion of course. Live Project Exposure from clients.